This property is a 6-minute walk from the beach. 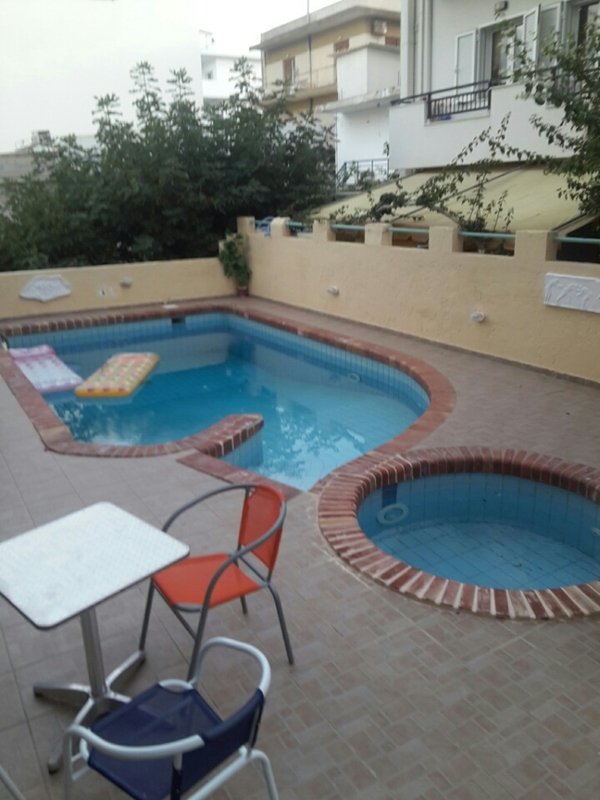 Featuring free WiFi and an outdoor pool, Aquarius Apartments & Studios is located in Hersonissos, just half a kilometer from Aquaworld Aquarium. There is a water park on site and guests can enjoy the on-site bar. Lixnostatis Folk Museum is 1.4 km from the property. All units have a sitting and dining area. Some units include a terrace and/or balcony with sea or mountains views. There is also a kitchenette, fitted with a microwave and refrigerator. A stovetop and kettle are also available. Bed linen are featured. Aquarius Apartments & Studios also includes a barbecue. The nearest airport is Nikos Kazantzakis Airport, 19.3 km from the property. Limenas Hersonissou is a great choice for travelers interested in nightlife, bars and the seaside.